To keep in touch with others and maintain permanent relationships, communication plays a crucial role in our daily life. In the past, only participate in a face-to-face gathering can people see their close friends. However, as time goes by, to keep pace with the rapid development of society and technology, more social media are created, intending to shorten the distance and making video communication possible. Similar to Skype, MSN, etc, Yahoo Messenger has a wide variety of domestic and oversea users. Through Yahoo Messenger, you have chance to share photos instantly, express yourself with animated GIFs, start one-to-one conversation or create group chats, show more love with a "Like", etc. Among them, you will prefer video chats when contact others. Given that you would like to share all these precious moment, which way will you apply? Here to make it easier, a right video capture is necessary. In this post, you will learn how to record Yahoo Messenger video chats in high quality by following the complete instructions. 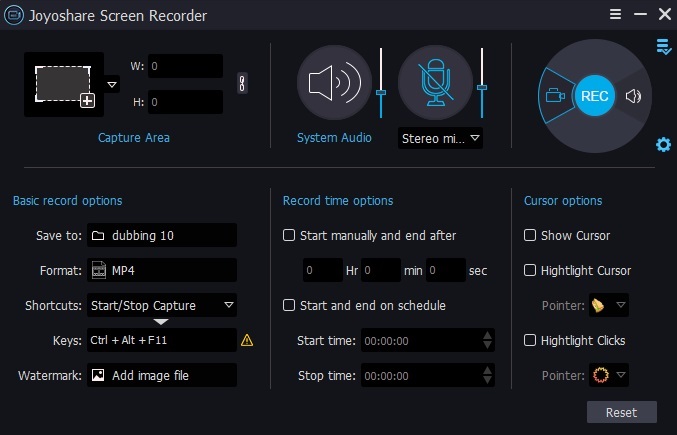 Adopted the most top-leading screen capturing technology, Joyoshare Screen Recorder is regarded as one of the most advanced screen recording tool, which is well-designed with intuitive interface, making users enjoy themselves on easy-to-use operation. Excellent as it is, Joyoshare Screen Recorder can record video chats from Yahoo Messenger with high efficiency. By utilizing this smart recording tool, you are allowed to capture and save Yahoo Messenger video calls into any format, for instance, HD MP4, AVI, FLV, SWF, WMV, MKV, MOV and other common formats. Aside from this function, it is capable of recording audio tracks as you like, which is to say, during capturing process, both system voice and microphone sound can be grabbed as well. More amazing, it also includes full supports for you to decide capturing area at discretion, preset a designated recording task in advance, take screenshots anytime, etc, based on your own preferences. Alternatively, except Yahoo Messenger video chats, Joyoshare Screen Recorder also offers ability to record other online live streaming videos, webinars, class lectures, podcasts, movies, self-demonstrations, etc. Hence, you can grab gameplay, capture music, make video tutorial and record any other on-screen activities on your desktop. Save captured videos to MP4, AVI, FLV, SWF, MPEG, etc. Even though Joyoshare Screen Recorder comes with some similar basic recording functions with other screen captures in market, we give you an in-depth tutorial, making thorough notes, to lead you to record your Yahoo Messenger video calls step by step, letting you can take full advantage of it clearly. 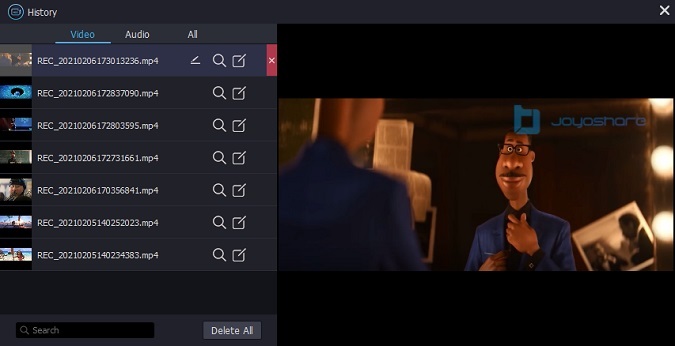 No doubt, you need to download and install this amazing screen capture on your PC so that you can go straight to launch it on the computer. Joyoshare Screen Recorder is great to determine capturing area by yourself. With it, you can simply press "+" button on the upper left corner and drag the edge of pop-up window to adjust recording screen size. Moreover, it also enables you to enter an accurate number in the frame or directly choose a fixed ratio, such as 320x240, 640x480, 1280x720, etc. 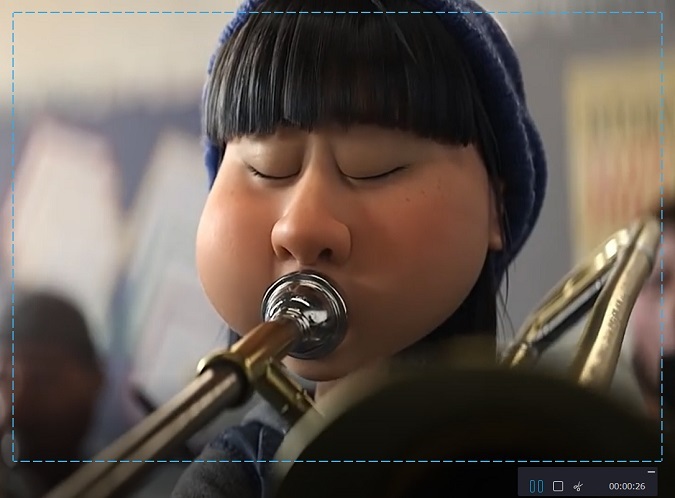 No matter which method you prefer, as long as you can record Yahoo Messenger video call with clean capturing interface, then it is ok.
On the upper central part, you can see "System Audio" and "Microphone Sound", which are indispensable elements when you want to record Yahoo Messenger Video with audio at the same time. Nevertheless, please keep in mind that you can also disable system or microphone sound to remove unexpected audio track, especially when there is some annoying noise. To press the "gear" icon, all recording options can be shown in your sight. You are entitled to set up all related recording parameters, for example, the output format, shortcuts, recording time, cursor effects, etc. Note: If you click the audio icon near to the "REC" button, Joyoshare Screen Recorder will perform as an independent audio capture, which can do you a favor to record online ratio, streaming music, music games, etc. It can support all popular output formats, including MP3, AAC, WAV, FLAC, M4A and M4B. Run Yahoo Messenger. Click "REC" button to capture video chat after start Yahoo Messenger video call. There is 3 seconds countdown provided so that you have enough time to adjust capturing area to a proper position. 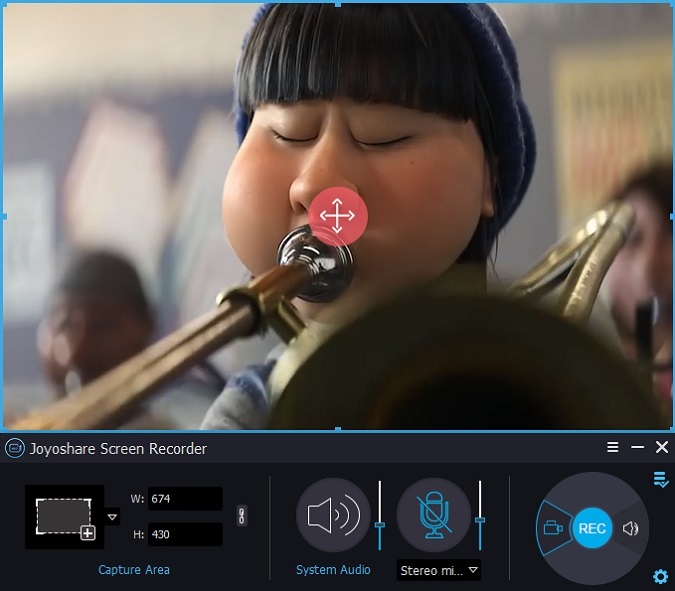 During the recording process, Joyoshare Screen Recorder can be used to take screenshots at any time and split video to different segments by clicking "scissors" icon. Once you complete video call recording, press "Stop" button to end it. There are all destination files from Yahoo Messenger in the list of "History". Joyoshare Screen Recorder has access to rename videos, correct ID3 tags, delete unpleasing videos, etc. If you trim video during capturing process, all video segments will appear here as well. Now you can repeat above steps again to record other videos or chats from any online websites or media apps considering you are familiar with all operations.